Think you can't afford CSB/SJU? 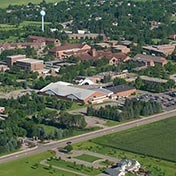 93% of CSB/SJU graduates finish in four years. 95% of CSB/SJU students receive financial aid. 95% of CSB/SJU alums rate their college experience as good or excellent. Hear current students explain the Bennie/Johnnie experience and meet members of our community. Enjoy these videos on life at CSB/SJU! An interactive campus tour, complete with more than 100 stops, students introductions, and information on our academics and activities. 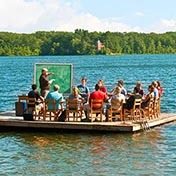 Our raft symbolizes the CSB/SJU experience. Fun photos showcasing our unique partnership, residential campuses, and commitment to engaged learning. 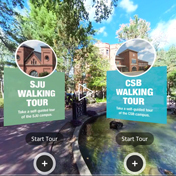 Check out these 360-degree aerial panoramas, aerial tour videos and campus airview photos for a bird's eye view of CSB/SJU. Browse our photo galleries for a glimpse of what it's like to be a Bennie or Johnnie. 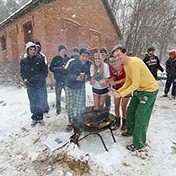 See some of the shared traditions that unite Bennies and Johnnies for life. Have you signed up for Collegebound yet? Collegebound is a week-long outdoor adventure experience for incoming first-year CSB/SJU students. 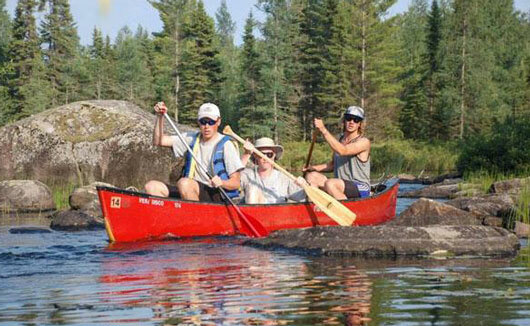 Students will either rock climb, canoe or backpack in Northern Minnesota for the week before orientation. No experience necessary! This is a great opportunity to get a jumpstart on connecting with other new CSB/SJU students and move to campus even earlier. "I enjoyed canoeing with others and figuring out how to "survive" in the outdoors. I learned how to start a fire and build a tent. I've made some of my greatest friends because of this trip." Our Spring Campus Visit Days provide you with a full bloom view of what life is like as a CSB/SJU student, a tour of both campuses, and a financial aid overview. 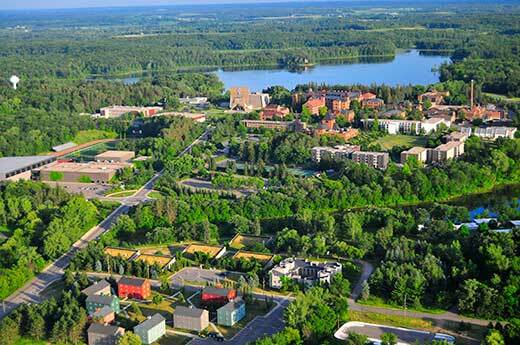 Explore our campuses and learn more about the benefits of a CSB/SJU education during Minnesota Private College Week, June 24-28. Our Summer Campus Visit Days provide you with a sunny view of what life is like at CSB/SJU, a tour of both campuses, and a financial aid overview.